I’ve decided that I’ll use the PIR sensor I bought from Ebay for $2 as a front door detector to detect anyone approaching the front door, sometimes people don’t ring the doorbell and knock instead (hard to hear sometimes) or a courier drops off a package at the front door. The idea is to have a small box powered by a battery to send the signal via Wifi to a receiver which can have an LED/Buzzer. 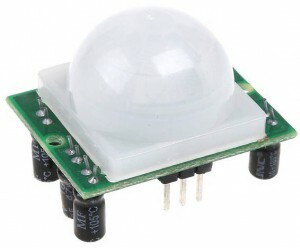 The PIR has an input voltage of 4.5 to 20V, has adjustable pots for sensitivity and time and has an output that goes high when the PIR detects something, it also has the BISS0001 chip that’s present on the Alarm PIR sensor which I have. Current consumption at idle when at 9V is about 60uA which isn’t bad but I’d rather not use a 9V battery due to the size. I checked the output of the regulator which was 3.3 volts so I decided to wire the regulator’s output to the pin VCC input so it would bypass the regulator. 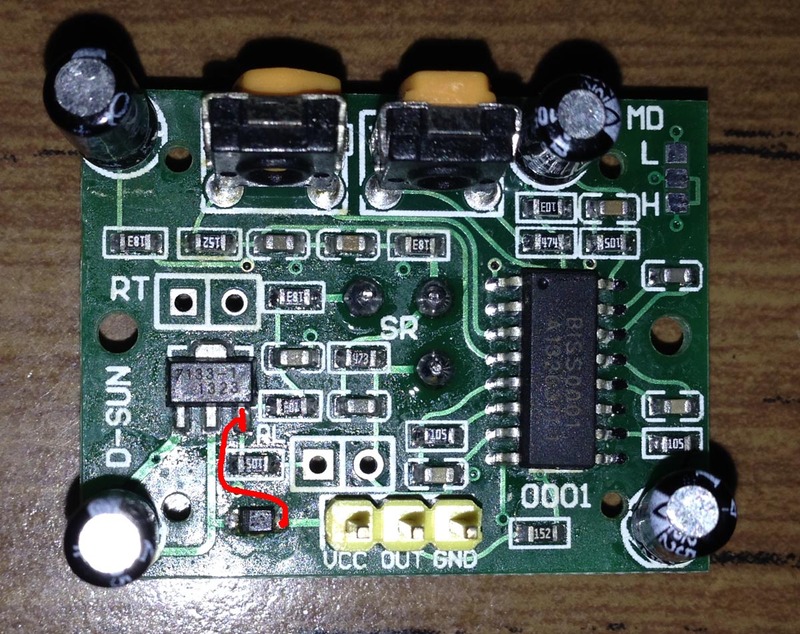 I found that using a 3V coin cell didn’t cut it and switched over to a 3.7V LiPoly which sits at 55uA at idle so I can use this directly for the MCU and use a diode to drop it down to 3V – 3.5V for the nRF24L01 (I forgot about the nRF24L01 3.6V max Vcc and had it running from the 3.7V LiPoly for a few days, oops!). Since we’ve used the nRF24L01 before it’s very easy for us to transmit a small packet to the receiver when the PIR goes high and since this is such a simple application I won’t use any SHA1/random number generation like I did with the Alarm system PIRs. 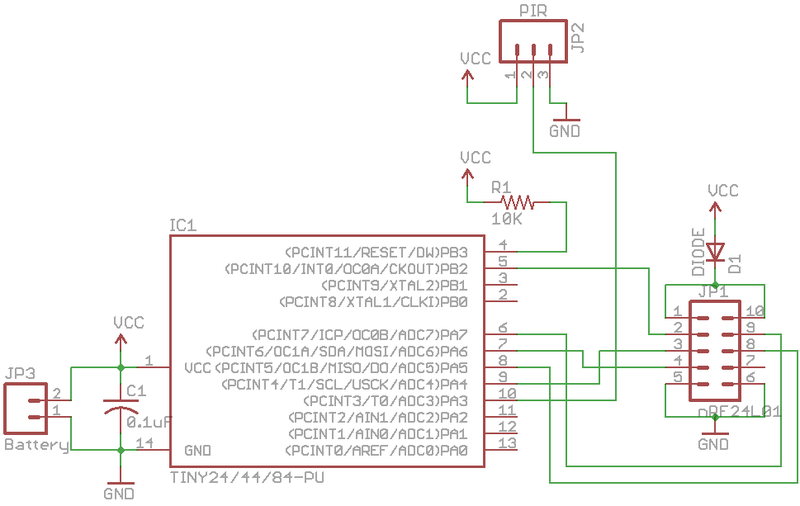 The receiver would have the same schematic except for the PIR detect pin it would have the LED/Buzzer. For the transmitting side we sleep until either a pin change is detected or the 4 second watchdog wakes us up. If the pin is read high we transmit the data “pir1c”. With the PIR if movement is continually detected the pin stays high so we use the watchdog to wake us up and keep checking if the pin is high. // Check if the data_in matches "pir1c"
As usual we wait until a request is received, read the data and check if it matches “pir1c”. If it does we turn on the LED and start the timer with a 4 second overflow. If we receive another request from the PIR when the LED is still on, our timer is reset and we count to 4 seconds again. The battery life is about 141 days which isn’t too bad. You might be able to do away with the battery and power it from the doorbell. 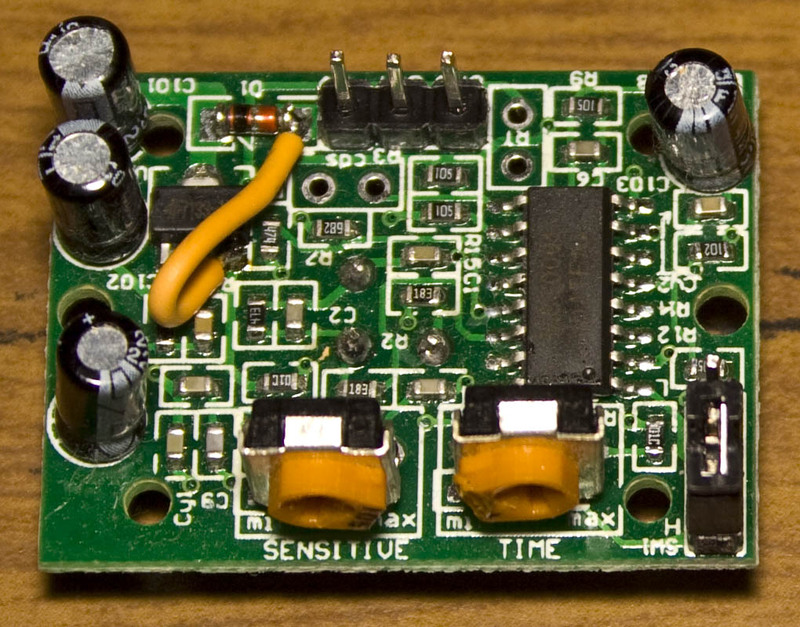 A lot of doorbells in the U.S. run from a 12V circuit. what is the best way to achieve this? which resistor etc. also is there a way provide a 2 terminal connector (that will work regardless of polarity) what components are needed here? Can you please help me make this with 2 atmega8? Can you try installing WinAVR and use programmers notepad to open this project? What error messages do you receive? Did you change the pins I defined to suit the ATmega8? I tried both avr studio and winavr it was fine if attiny24 was in the makefile. If i change to atmega8 i got a lot of “undeclared (first use in this function)” messages. I tried to change the pins but seem to be some problem with spi. After a many many hours of search of internet i can’t find a working example for atmega8 and nRF24L01. 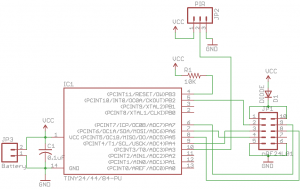 you can post the solution RX with Arduino UNO r3? I have the same pir. Could you please me to bypass the inside pir regulator in order to use pir at 3,3v connected to a xbee transmitter. How to bypass this regulator, could you provide a picture to show how to sold? 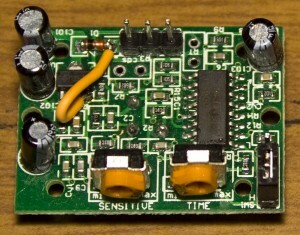 I found if the voltage drops too low then the PIR can just automatically trigger so you should test that out too. insideGadgets © 2019 All Rights Reserved. 2 queries in 0.066 seconds.